These shoe inserts feel so great. I slipped them into a pair of my flats and using the sticky adhesive, secured them to the bottoms. They definitely provide support and add an arch to my flat soles. They are so soft and cushion-y. Not to mention the health benefits that proper support provides! Next, I'll definitely be putting these babies into my sneakers before a workout. Okay, so my feet barely survived winter. They've been all cooped up in boots and Uggs for months and now they're finally free again! But wait, being trapped for so long, they're definitely not the prettiest. I've really been wanting a pedicure recently but also don't have the time or money to maintain perfect pedicured feet! That's why I was BEYOND happy when this product came in my box. The Pedi-Rock is soft but really gets the job done. 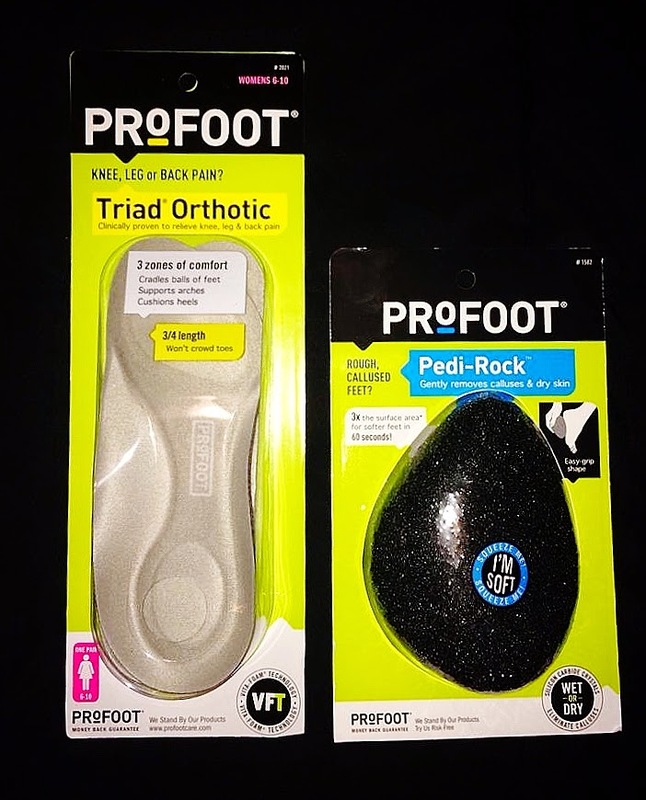 The unique shape forms to your foot and makes scrubbing easy and painless. My favorite time to use it is after a nice hot foot soak! Now when I think of "feminine products" I instantly think of Playtex. 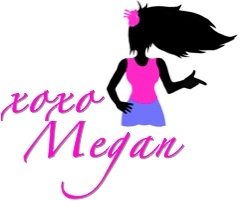 They've always been the first to develop innovative and comfortable products for all women. 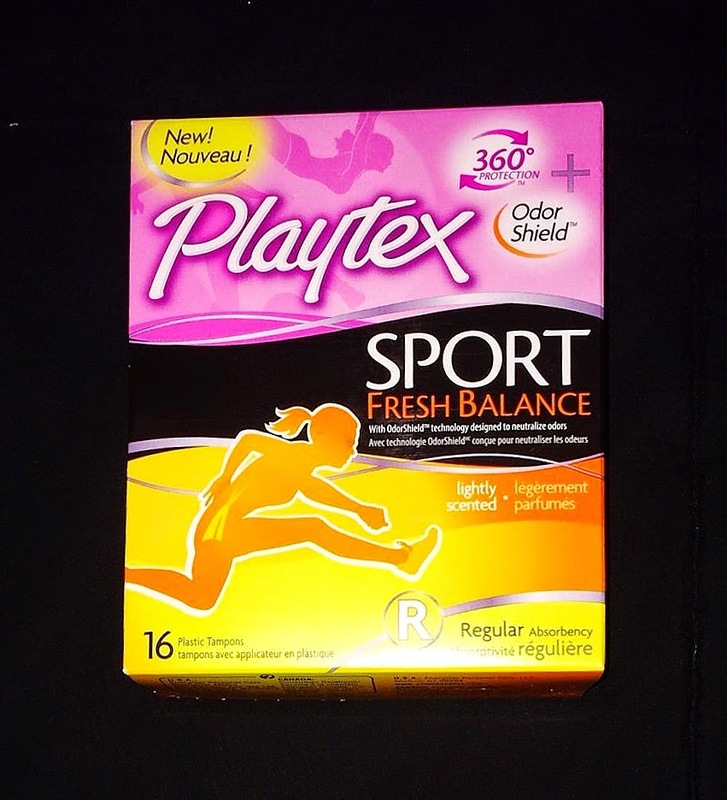 I've used Playtex Sport in the past and have never been disappointed. Their unique qualities including an OdorShield, 360 degrees FlexFit protection and a contoured applicator, really do make a difference! If you're looking for comfort and piece of mind while getting fit, Playtex Sport is definitely the way to go! Stick with me on this one. I thought the same thing too. "What? 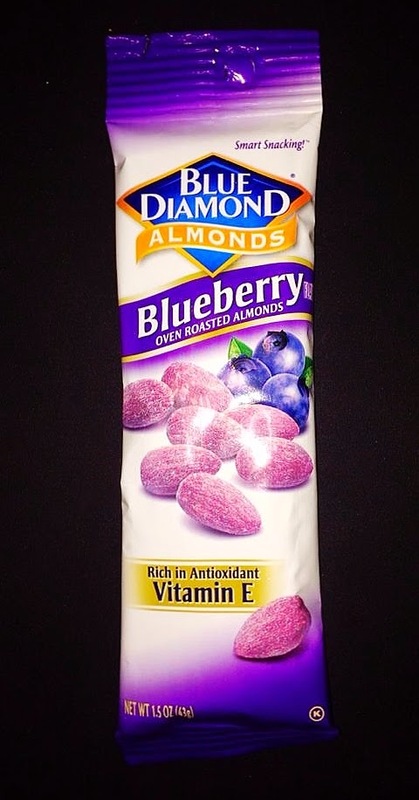 Blueberry flavored almonds? How in the world could those be good?" Needless to say, I was shocked when I first popped one in my mouth! They were so good! It's hard to explain but it literally tasted like a salty almond with a sweet blueberry coating. The flavors really do work together and now I can't wait to try their other fruity flavors! Packed with protein, this would make a great pre or post workout snack. 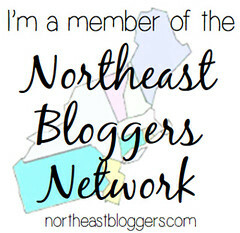 I have a confession to make on this one... I don't actually like yogurt :( I know, I know. You're wondering how I can dislike something as delicious as yogurt! Well I don't understand it either and honestly I WISH I LIKED IT! But nevertheless, I made sure this product was tested. My boyfriend Jimmy was happy to try out a new yogurt flavor and chose something dessert-like. Yogurt with malted milk chocolate balls. 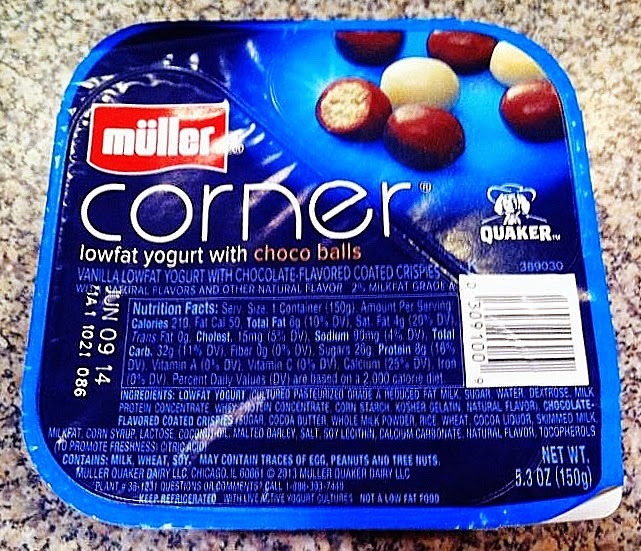 They were basically little milk duds that you mix into the yogurt. He really liked the crunch of the chocolate balls, mixed with the creaminess of the yogurt. There were so many different flavors too! Oh lotion. I love lotion but with so many types, it's hard to find a kind that really is different. My first impression of this lotion was "okay, I guess I could always use more lotion," but I definitely wasn't thrilled. Then, I rubbed it on my arms and was so pleasantly surprised! 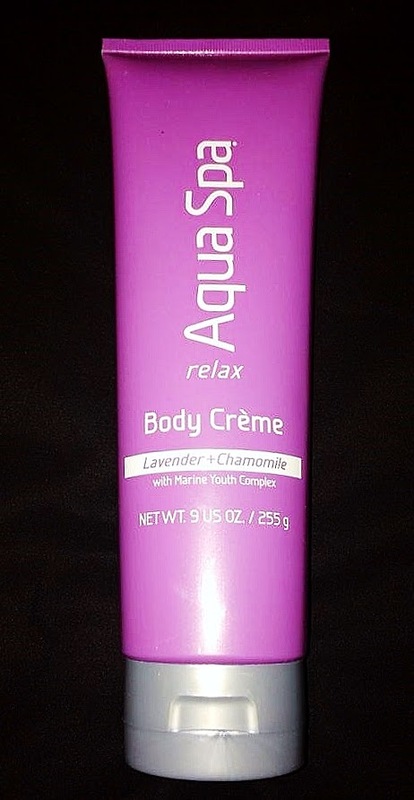 The lotion is made to be relaxing and includes both lavender and chamomile and you can definitely feel it. The cream creates a kind of cooling sensation and the smell is amazing. I've started applying it before bed to help me drift off to sleep. Definitely the kind of thing you need after a hard workout. These shakes are PACKED with protein and other great nutrients that are great when you're working out. All you have to do is add water and shake and voila- you have a quick and healthy meal in seconds. Let me warn you though, this is not for the faint of heart. If you've ever tasted a protein shake before then you know the distinct taste it has, and these shakes definitely have that taste. Not really enjoyable for me but lots of people love that flavor and the benefits that come from it! Honestly though, my favorite part is the shaker. Its cute and convenient, with an easy flip top and a jack inside that helps to mix the powder when you shake. I know I'll find so many uses for this shaker! 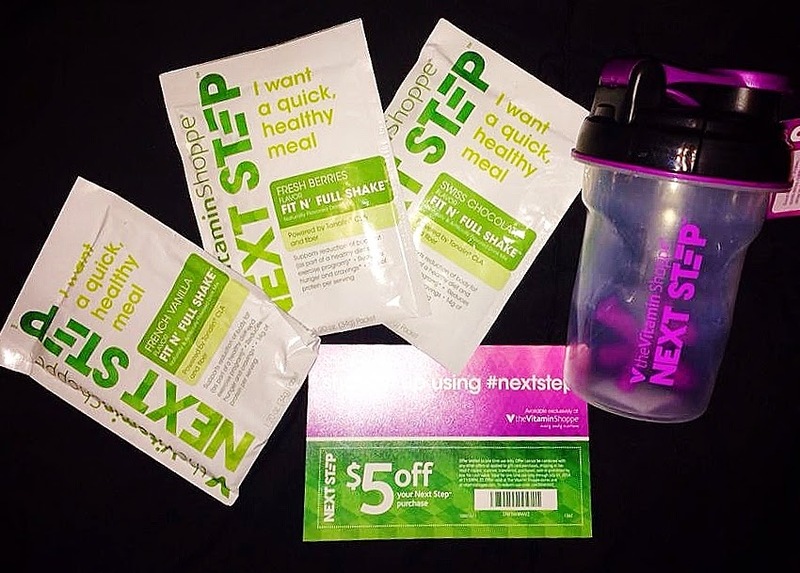 Needless to say, I'm in love with all of the products in my #GoVoxBox. And with upcoming vacations and beach weekends, I'll definitely be taking advantage of all of these health and fitness items! What are your favorite health and fitness products?